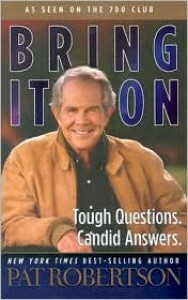 Bring It On: Tough Questions. Candid Answers. This book was okay, and had *some* thoughtful answers, but a braver and more thoughtful Christian book on current issues is 20 Hot Potatoes Are Afraid to Touch, by Tony Campolo.